Have you ever learned Genesis as a text-based study along with many different commentaries? If you have never experienced the thrill of dissecting and discussing the finer points of the Chumash, here is your chance. Chany Scheiner of Lubavitch of Boulder County is offering a stimulating class on Beraishit, the first book of the Torah. This class is free of charge and offered on a bi-weekly basis on every second Shabbat from 10-11:30 am at Lubavitch of Boulder 4900 Sioux Drive. The date of the first class is November 10. The class is open to women and girls. Please note that NO prior background in Jewish learning or practice is required for the class to be meaningful. 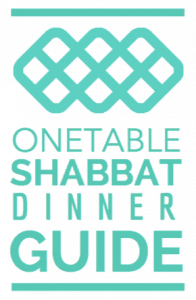 Please rsvp to: lbkosher@gmail.com. Looking forward to welcoming you!